"If you see a bat, dead or alive, don’t touch it," said Wilma Wooten, M.D., M.P.H., County public health officer. April 18, 2017 (San Diego) - A bat caught alive at the San Diego Zoo Safari Park has tested positive for rabies, the County of San Diego Health and Human Services Agency announced Monday. September 12, 2016 (San Diego) - A bat found at the San Diego Zoo Safari Park has tested positive for rabies, the County of San Diego Health and Human Services Agency reported today. June 14, 2016 (San Diego) - A bat at the San Diego Zoo's Safari Park has tested positive for rabies, the County of San Diego Health and Human Services Agency reports. November 11, 2013 (San Diego’s East County) – Wind turbines killed over 600,000 bats last year in the United States. That’s according to BioScience, which made the projection based on the startling number of dead bats found at 21 facilities. The number could be even higher, nearly a million bat deaths, according to the author, Mark Hayes at the University of Colorado. 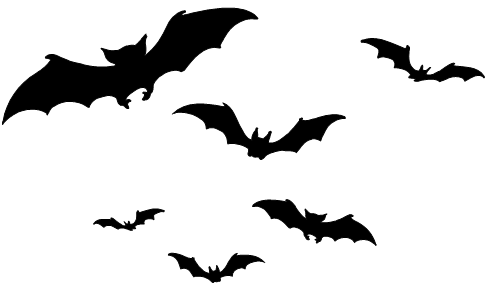 October 22, 2012 (San Diego) – With Halloween around the corner, fake bats are likely to be present at people’s homes. However, if you come across a real bat at home or any other place, health officials urge you to stay away from it. Bats, as well as skunks, raccoons, and other wild animals can carry rabies, and touching them—even when dead—can expose you to the deadly disease. BATTY FOR BATS NATURE TALK MARCH 31! 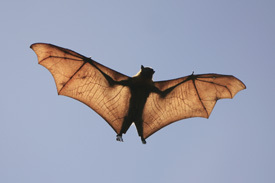 March 27, 2012 (Lakeside) – Lakeside’s River Park Conservancy will be having a free presentation for members by local Project Wildlife bat expert Cindy Myers and her bat ambassador. There are roughly two dozen bat varieties in San Diego County. Learn about this small, furry and ecologically essential mammal. Space is limited to 20 members. RSVP by Wednesday March 28 by contacting Cindy Collins at 619-443-4770. Read more about BATTY FOR BATS NATURE TALK MARCH 31! Update July 20, 2011: County Health authorities have located the boys and determined that they did not touch the bat. Their family physician will make final determination on whether preventative treatments will be administered. July 16, 2011 (San Diego) – San Diego Sheriff’s office seeks public help to identify three boys, 12-13 years old, who brought an ill Mexican free-tailed bat to a Petco Store in Vista on July 10. An employee contacted Project Wildlife and later, County Public Health officials tested the bat and found it positive for rabies. Bats become more active this time of year and County Health officials urge parents in all areas of the County to instruct children never to touch a bat, dead or alive. October 6, 2010 (Rancho San Diego) -- Join Ranger Lisa, and BLM’s Biologist Joyce, a bat expert, in watching a short bat movie, and take a bat hike with bat-sensing equipment on October 22 from 6-7 p.m.. Families are encouraged to attend, and also get to know their local National Wildlife Refuge in Rancho San Diego--the San Diego National Wildlife Refuge managed by the US Fish and Wildlife Service. While bats, skunks, raccoons and other wild animals might be interesting to look at. touching them—even when they’re dead—could expose you to rabies.